Dickens included lawyers in 11 of his 15 novels. Perhaps they made so many appearances because he was enmeshed in England’s legal system. According the New York Times, at 15 Dickens was hired as an “attorney’s clerk” and later became a court reporter. “For three formative years he was surrounded by law students, law clerks, copying clerks, court clerks, magistrates, barristers and solicitors . . . .” And for a time, he was a law student. One scholar has framed Dickens as a legal historian and another has written a book that examines Dickens’ portrayal of lawyers and others in the legal system. 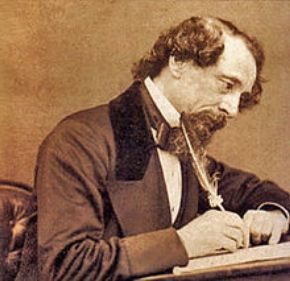 In honor of Dickens’ birth and his ties to our profession, please share your favorite Dickens quotes. This lesson from “A Christmas Carol” is timeless.